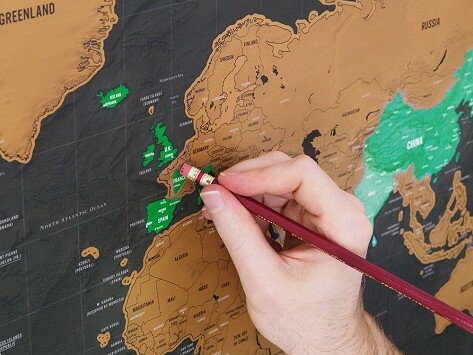 The Scratch Map Deluxe comes with copper foil printed on matte finish black paper. This map features infographics along the bottom, presented in an engaging and colorful manner. 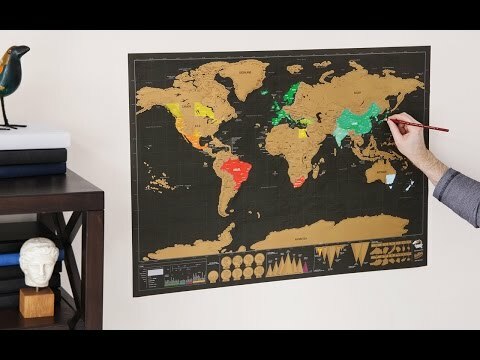 The Scratch Map Deluxe comes in a high-quality presentation tube, making it a great for any aspiring traveler or wanderlust explorer. Dimensions: Regular: 32.5" x 23.4" x 0.08"; Extra Large: 46.8" x 33" x 0.08"
Weight: Regular: 0.1 lb. ; Extra Large: 1.2 lbs. My jet setter family loved this.